I was recommended this course by a friend who had done it a few years back and said it was a highlight of Vietnam. I am someone who is competent with my DSLR camera and using all the settings; however after years of photography I feel I lack fresh compositions. 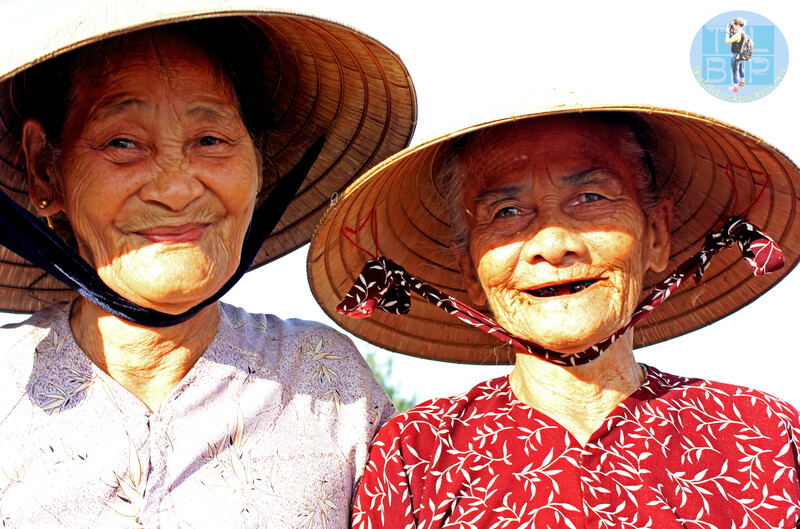 The course gave me the chance to see some rural Vietnam and photograph village life – I wasn’t going to miss that. 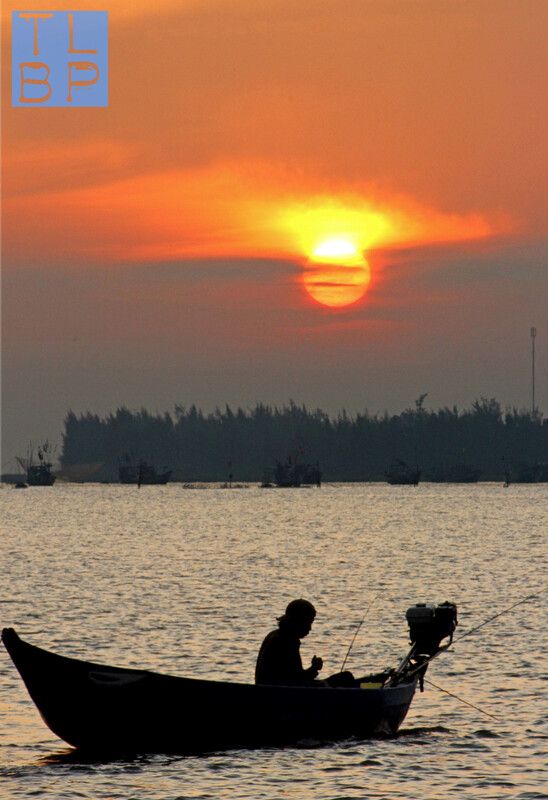 Hoi An Photo Tours run two courses a day – one at sunrise and one at sunset. Each takes in the best light of the day to photograph in, visiting a rural area of Vietnam as well as coming back in to the Hoi An town. The sunrise course was our choice, we booked the night before (if you do the same, don’t worry if it takes them a while to reply to your email) and pick up was scheduled for 4.45 am! After picking up the participators we headed off to the pier – our group only had four people, we were VERY lucky. We had a stop to sample some ‘proper’ Vietnamese coffee and tea, at the kind of place we would never normally stop at for fear they wouldn’t understand English. Our guide Pieter Janssen (the owner Etienne Bossot was on holiday, however he would normally run the tour) then went through using aperture/f-stop, shutter speed, ISO, manual, TV and AV camera settings. We talked a lot about ways we could aid our camera in low light, how a lower ISO is best and what number f-stop will blur or focus the background of the image. For me it was a great reminder of everything that is hazily stored away in my memory. For my boyfriend it really helped him to understand the settings and buttons I babble on about all the time. We then started the journey across to the fishing village; this started with a ferry ride which was perfectly timed with the sun rising over the river. Our next significant stop was by some dry docked boats by the edge of the river. We waited for ages for the sun to come through and shine straight onto them. We discussed how important the sunlight is for the mood and lighting of a photo and how if you can wait for the sun, you should. Peter also took the time to chat with each of us about the composition and settings we were using. 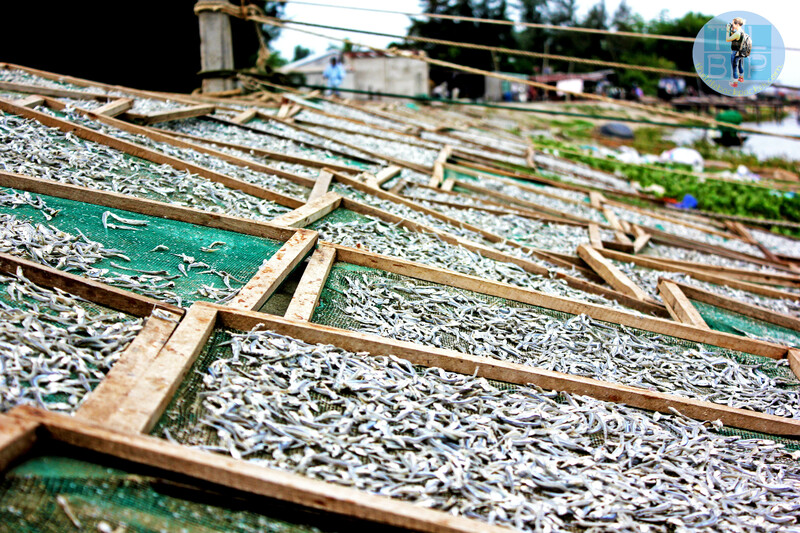 It was barely 7am when we arrived at the main part of the fishing village and the locals’ day was in full swing: unloading fish from the boats and spreading them out on panels to lie out in the sun and dry. There was activity going on in every direction. We stopped to talk about taking portrait shots and how to go about asking locals to pose instead of sneakily trying to take a shot. If you make eye contact, smile and then ask if you can take their photo, you have the advantage of being able to ask them where to stand. It also enables you to get eye contact them your camera and the model, instead of getting the back of their head when you don’t ask. We discussed the ways of framing and setting up a portrait. Did you want to add details of the background or just capture the face? If there is a lot going on in the background, then use a low vantage point to eliminate it. Ask the subject to move if the sun is creating awkward shadows on their face. The more you interact with the subject the better your photos will be. We put into practice the discussion and it mostly went well, except for some of the women who would approach you to have their photo taken and then demand money – they were obviously used to the photo tour and knew some people will hand over money. I refused to give them money as I had not asked to take their photo, however it is a personal choice but when Pieter had encouraged us so much to ask these people I couldn’t help but feel annoyed at the situation. The two crazy ladies that kept following me for money. When we left the riverfront to head inland from the village I was very thankful to get away from the pestering ladies. We were then bought breakfast from a typical baguette street stall and spent the time discussing all sorts of photography related subjects. The next stop was a fish factory – insanely smelly with lots of flies/mossies but great for practising low light photography. We discussed techniques and tips such as using any surface suitable as a stand for your camera, allowing you to use a slow shutter speed. Another tip was to use a timer or release button to stop you from wobbling the camera while the shutter is open. I enjoyed photographing here but the smell and bites I got while there weren’t pleasant. We wandered through the back streets of the village, stopping at any point of interest. This included a shop where some women were sewing and a house where two little boys were playing with their family. We left the same way we arrived and walking back along the riverfront felt very strange as all the activity had died down. Once back on the mainland there were some bicycles waiting for us to ride the 15 minute journey back to the town. It was a flat quiet journey and I really enjoyed riding around the back streets of Hoi An along the river. Our last stop was their office in town where we looked around the gallery and sat around chatting for nearly an hour after. The course was a great experience; I loved getting out in to a rural area, seeing parts of Vietnam I otherwise wouldn’t have and being reminded of what it’s like to go out just to take photos. Pieter did a great job chatting to everyone and giving us help and advice. My only recommendation of improvement would be to have a showing session at the end where everyone shows and talks about their favourite image of the day. See more of my images from the day here. I liked your post and your experience, until I got to “The two crazy ladies that kept following me for money.” They are poor, I can say for sure that is the reason they did so. Sorry if they bothered you. I still think that it’s a bit unfair (or even immoral/impolite) to call those elderly crazy. Just personal view! You did have a good experience anyways! I apologise that you feel it was immoral/impolite to call them crazy. It was certainly meant in a very light term and not to offend anyone. I wouldn’t have gone taking photos of people if I knew they would ask for money, that wasn’t why I was there. I wanted to see something different to the typical tourist side of Vietnam – I guess as a western foreigner that won’t always be possible.